L-R: Kola Oguntola, Kingsley Kobayashi and Samson Siasia. On Saturday, March 16 2019, Kobayashi Bitters, a non-alcoholic natural and water based detoxifying drink was launched at the Intercontinental Hotel, Lagos. The launch event, which was graced by the who is who in the Nigerian footballing scene also served as an avenue for the promoters to announce their philanthropic support to the sick in Nigeria. 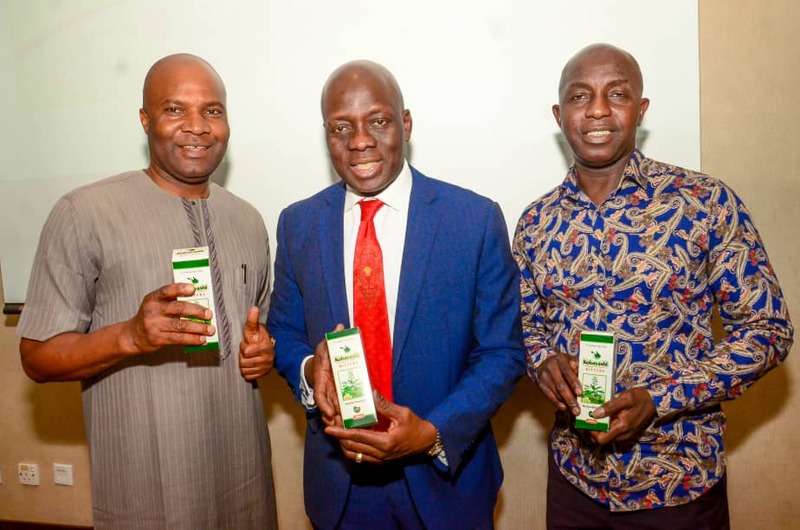 A former coach of Nigeria’s Super Eagles, Samson Siasia, has commended the philanthropic gesture of an investor and advisor, Kingsley Kobayashi, at the launch of Kobayashi Bitters. Siasia, who played for Nigeria at age grade competitions and at the senior World Cup said at the launch of the product that Kobayashi was a philanthropist known in Nigeria, Japan and other parts of the world for assisting cancer patients and other needy. While recommending the product to Nigerians, the former Super Eagles coach said he was sure that Kobayashi would use the proceeds from the bitters to further make life meaningful for the sick and others. The Director, Grassroots Sports, National Sports Commission, Dr Ademola Are, and a former Super Eagles player, Waidi Akanni, lauded Kobayashi saying the product would offer solutions to some ailments. Kobayashi said the bitters was not alcohol based unlike some, stating that this made it okay for a wide range of people to take it. 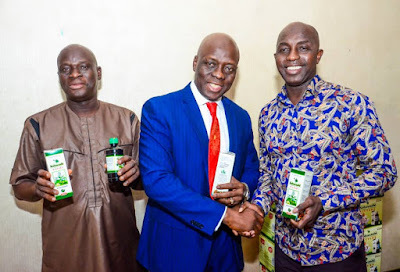 The Director, Research and Development, HBK Naturalist Limited, Mr. Kolawole Oguntola, said the product was helpful in fighting infections, hemorrhoids and could be used by those who take alcoholic drinks and those who do not. Oguntola said, “Nigerians need to detoxify regularly in other to have a healthy body. Bitters will remove toxins from the body and make human system healthy”.